After the raunchy success of DIRTY HARRY (1971), it was inevitable some other cinema tough guy would be recruited to carry the torch that Clint Eastwood lit. 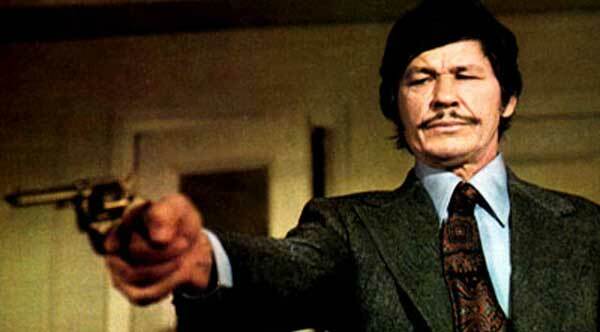 Enter Charles Bronson. Whereas DIRTY HARRY was labeled a vigilante treatise, but was actually more layered than the knee-jerk American public could discern, DEATH WISH is written (by novelist Brian Garfield, screenplay Wendell Mayes) as that blunt vigilante instrument that audiences could readily understand. As New York architect Paul Kersey, Bronson enacts pure and simple revenge on New York’s thug life after thugs attack his family, murdering his wife (Hope Lange) and causing his daughter (Kathleen Tolan) to be institutionalized. Watch for Jeff Goldblum’s screen debut as “Freak #1” as he rapes Kersey’s wife at knifepoint – in a Jughead cap! (Everything’s Archie!) Later, we see another young lad playing a thug who would go on to greater things – as a Sweathog! (Lawrence Hilton-Jacobs, Freddie Boom-Boom Washington in WELCOME BACK KOTTER.) And the music is by none other than jazz legend Herbie Hancock! Bringing a knife-dance to a Bronson-fight. When the police have no leads in his wife’s murder and don’t seem to care (of course not! they’re not here to stop crime, they’re here to apprehend people for the revenue!) and his son-in-law (who looks like Martin Landau) continually whines about the catatonic state of his daughter, Kersey takes matters into his own hands to protect himself from further muggings in the hostile underbelly of the city. He starts by carrying a roll of quarters in a sock. But, as every anti-gun advocate knows, quarters are a gateway weapon, and when a client (Stuart Margolin) makes him a present of a handgun, Kersey is all over it like punks on an old lady’s purse. He goes out into the night, armed, and soon enough is propositioned by a mugger, which he guns down. This first kill is a shattering experience for him and he rushes home to vomit and gnash his teeth. This is not simply Bronson in tough guy mode, but trying for a more layered performance (and, as stated earlier, failing miserably). Yet he feels enough of a compulsion to walk out again night after night and continue the judge-jury-executioner role on small time punks trying to steal from him or others. Playing unconvincing curmudgeon detective is Vincent Gardenia, tailing Kersey through New York’s underbelly with his soft doughy-guy underbelly. Watch for a young Christopher Guest (THIS IS SPINAL TAP) as a cop who gives Kersey’s gun to Gardenia. 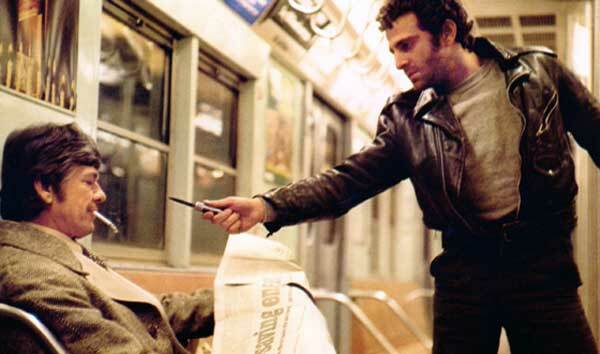 DEATH WISH loses its credibility when Kersey’s actions bring him anonymous renown with the New York populace. How would the New York populace ever find out, when Kersey’s kills are small time hoods that would be relegated to dead files and unresolved cases? His kills are not real media fodder. He’s not killing high profile criminals, so the police would not care enough to connect the killings and the lackadaisical press wouldn’t care unless such small-time kills were connected. Even in Eastwood’s MAGNUM FORCE (1973), San Francisco’s vigilante killers never gained such notoriety except within a small section of the police force – how did Bronson’s “Vigilante” ever gain such renown in a cynical and jaded New York City? Kersey’s actions remind me of the SUPERMAN conundrum: how Superman – with powers beyond belief – only addresses crime on society’s bottom rung, when he should be addressing crime at the higher levels that CAUSE the social disparities that create small-time crooks. Granted, Kersey hasn’t the wherewithal to target higher profile criminals, so in the end, he’s only cleaning up the results of true crime, not true crime. My one question to the muggers of New York City: Why would you pick on someone who looks like Charlie Bronson?! Writers: Brian Garfield, Wendell Mayes. Starring: Charles Bronson, Hope Lange, Vincent Gardenia, Steven Keats, William Redfield, Stuart Margolin, Stephen Elliott, Kathleen Tolan, Jack Wallace, Fred J. Scollay, Jeff Goldblum, Lawrence Hilton-Jacobs.